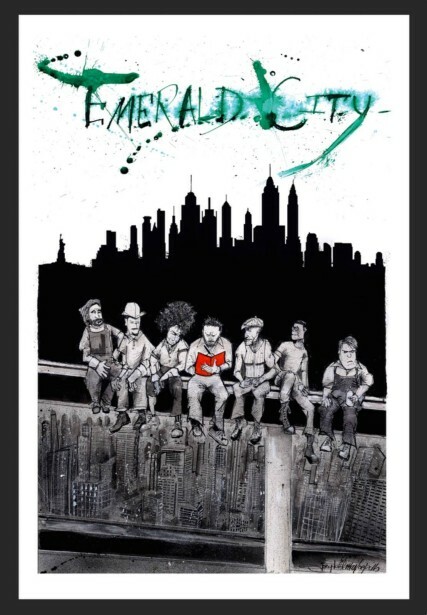 If you have been thinking about buying one of illustrator Joey Feldman's "Emerald City" prints, now would be the time to do so, because there are only a handful of them left! The Fine Art giclee print is 18" x 24" in size on Somerset velvet stock 255gsm and is embossed, numbered and signed by both Feldman and the movie's writer/director, Collin Broderick. Orders can be made in the link below.